Earlier today, Disney and Marvel dropped the latest trailer and poster for Avengers: Endgame. Star Mark Ruffalo, who portrays Bruce Banner and the Hulk, commented on the poster release, joking about firing for previously revealing spoilers to Avengers: Infinity War in a previous interview. You can check out that tweet and also the new poster image below. Ruffalo wrote on Twitter earlier, “So I wasn’t fired?” The tweet was in reference to a previous GMA interview with Ruffalo and Don Cheadle for the film. Ruffalo had stated in that interview, “Wait until you see this next one. Everybody dies!” Well, he wasn’t completely wrong. Despite Ruffalo basically spoiling the end of the movie in a now infamous interview clip, he wasn’t publicly punished, and he’s having a sense of humor about it. 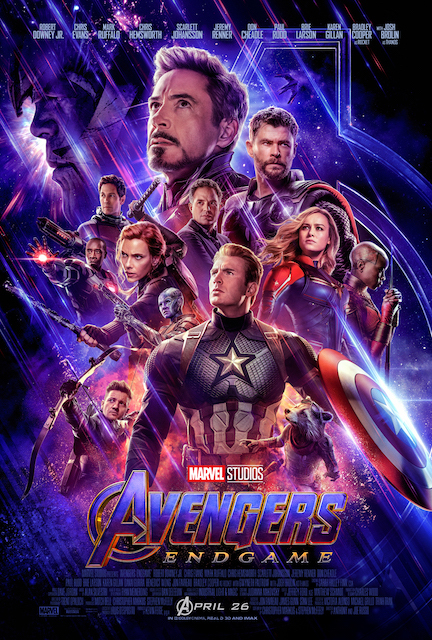 Avengers: Endgame arrives in theaters on April 26. The film was directed by Joe and Anthony Russo from a script by Christopher Markus and Stephen McFeely. It stars Robert Downey Jr, Josh Brolin, Chris Hemsworth, Mark Ruffalo, Scarlett Johansson, Benedict Cumberbatch, Don Cheadle, Tom Holland, Chadwick Boseman, Paul Bettany, Elizabeth Olsen, Anthony Mackie, Sebastian Stan, Tom Hiddleston, Benedict Wong, Pom Klementieff, Karen Gillan, Dave Bautista, Zoe Saldana, Bradley Cooper, Vin Diesel, Chris Pratt, Gwyneth Paltrow, Jeremy Renner, Paul Rudd, Evangeline Lilly and Brie Larson.